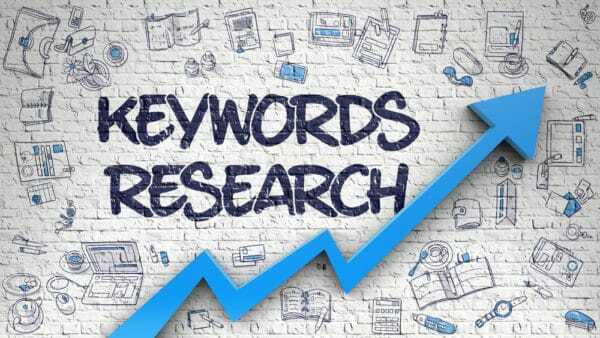 What Exactly Are Keywords for SEO? You could say search engine optimization (SEO) is not possible without understanding keywords. For the most part, that would be true. 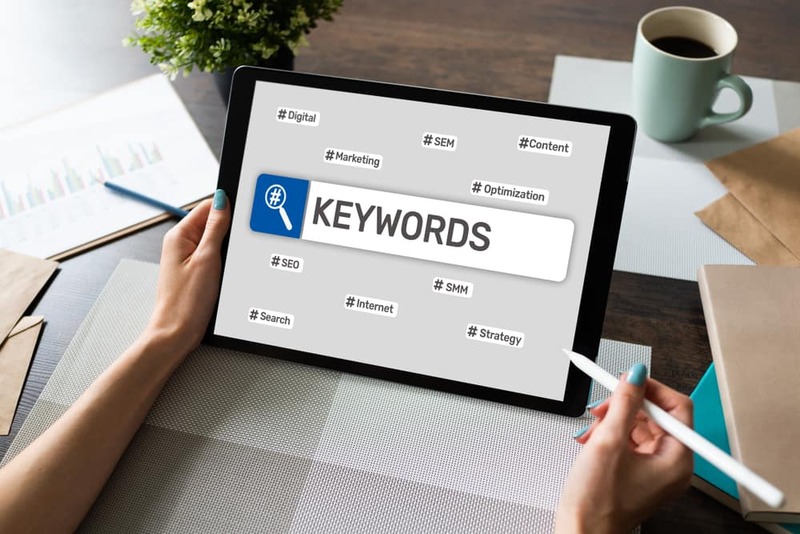 But, once you understand what keywords are, how to select keywords for your SEO strategy and how to implement the keywords, then you will be able to strategically improve your website rankings on search engines (Google, Yahoo, Bing, etc.). In the SEO industry, a keyword is what someone types into a Google search in order to find information. For example, you may Google “commercial real estate brokers near me.” If you’re a commercial broker, you would quite possibly want to include “commercial real estate brokers near me” as a keyword to target for your website. Anything someone could type into Google is what we would call a keyword. Also, please keep in mind that this isn’t just for Google. This concept about keywords is applicable for all search engines. There are many possible combinations of keywords someone might use when doing a search in Google. 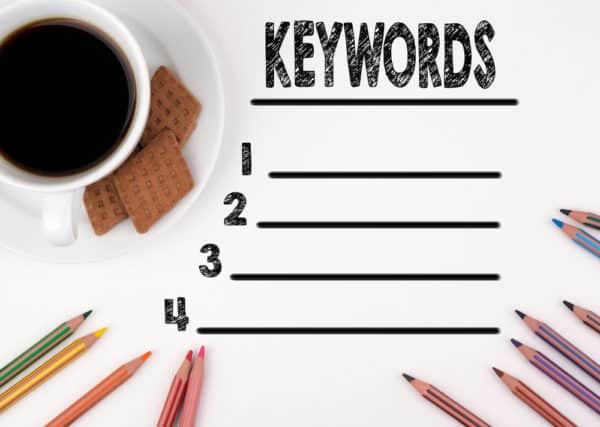 Here are some tips to help you identify your top keywords. The first place to start is to identify your core services or products. For example, if you’re a commercial real estate broker, what are the key services you offer? Also, what are the similar services you aren’t so interested in promoting? You should make a list of these items, as they apply to you. Below is an example for what one commercial broker might want. You could easily end up with hundreds, or even thousands, of keyword phrases to choose from. You will most likely have far more keywords then you could possibly use. But this is how you can start the keyword research process. The next step is to refine the list so you’re focusing on the keywords that drive the greatest benefits to you. Let’s stick with the example of a commercial real estate broker. In their case, “Office space near me” is probably much more frequently searched than “C class office space.” The keyword research tool will be able to give you a rough idea of often each term is searched in your city, state or country. Let’s say “office space near me” is searched 100 times per month, but “C class office space” is only searched 20 times per month. If that’s the case, then “office space near me” makes a lot more sense as a primary keyword to include in your SEO strategy. Go through your keywords and rank them based on search volume in your city, or whatever your geographic target market is. In addition to looking at the search volume, it’s also important to look at the level of competition for each keyword. For example, the “office space near me” keyword could be extremely difficult to rank well for, simply because every other commercial brokerage website is also competing for that same exact phrase. “C class off space,” on the other hand, probably has a very low level of competition. It may not be searched as often as the first keyword, but it’s so much easier to rank well on Google for this term. With that being said, you shouldn’t disregard all keyword phrases that have a low search volume. In fact, after you sort the keywords by search volume, you should sort them again, in a separate table. Then you should re-rank them according to competition level. Those with the lowest level of competition should be at the top of your list. These will be high value keywords because they are low-hanging fruit and can more easily start driving traffic to your website. Do you already rank well on the first page of Google for some of your most important keyword phases? If so, there’s no reason to spend a great deal of effort improving your rankings for those terms. They can instantly be excluded from your list of top keywords to focus on. You should now have a list of high value keywords, based on search volume. You should also have a list of high value keywords, based on competition level. Now, we need to select the keywords that should have the highest level of focus for your SEO efforts. I suggest picking about 5-10 keywords from your list. These should be what you consider the most important. A couple of them can be frequently searched keywords. The rest should be keywords with a low competition level. Now, you have decided on the top keywords to target. Don’t throw away your research. You will want to rotate out the keywords you start ranking well for, and rotate in some additional keywords that didn’t originally make it into your top 5-10. How Many Keywords to Use? The number of keywords you should target is largely based on your marketing budget. If you have a large budget, you can target more keywords. 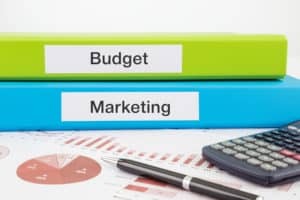 In fact, if the budget is large enough, you could hypothetically target all the keywords at the same time. However, that’s unrealistic in most cases. You should try to spend at least a few hours every month targeting each priority keyword. If you focus a lot of time in only a few keywords, that can look rather suspicious to Google and can end up hurting your rankings in the long run. If you spread your time out across too many keywords, it will take much longer for Google to increase your rankings. You will want to speak to a qualified SEO professional to help you gauge the number of keywords you should start with. Then, as your budget changes, the number of keywords can also change. Once you have your keywords figured out, you should start implementing both on-site and off-site SEO. The vast majority of your SEO efforts will be centered around these keywords. If actually doing the keyword seems a bit daunting, you can hire an SEO professional or company to do the research for you. What’s the next step? Start your SEO initiative! We wish you the best of luck with this endeavor. Use the contact form below to let us know if you have any questions or need assistance with your keyword research or SEO.